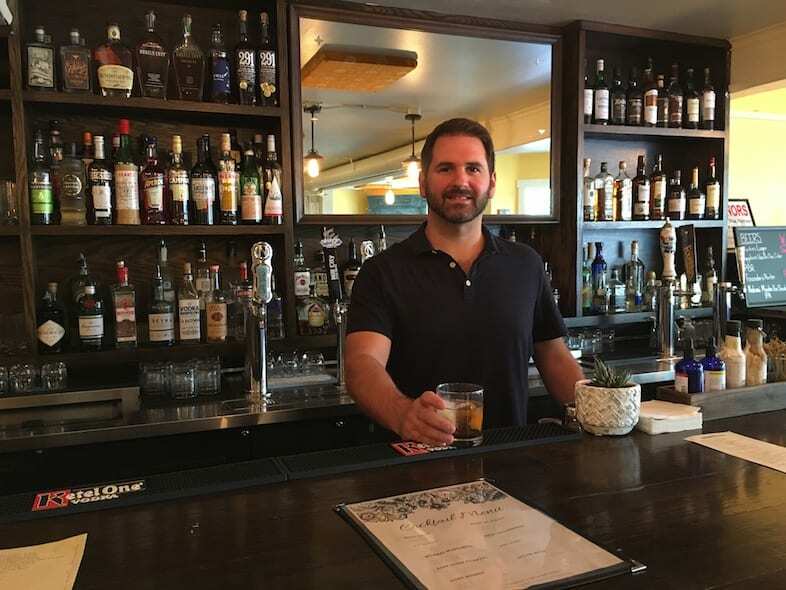 A desire to learn what makes quality cocktails is something Andy Card aspired to when he became co-owner of Oberon’s Restaurant and Bar in Ashland with his partner in life and business, Sachta Bakshi Card. Although he enjoyed an occasional cocktail, his knowledge of the craft didn’t extend very far. That’s all changed. Once Hudson shared what he could, it was then up to Card to continue his own cocktail schooling. He became a serious student of top flight cocktail programs around the U.S., such as Canon in Seattle, Please Don’t Tell, Death & Company, and Dead Rabbit in New York. He’s read and re-read everything Death & Co has published, and drew from one of the industry’s favored tomes on the subject, Liquid Intelligence. It inspired and informed Card about cocktail essentials, such as learning how to wash alcohol and how to use an ISI whip for rapid infusions. The strawberry milk washed rum was deployed in a strawberry-rhubarb daiquiri…and it was delicious! When it comes to updating or changing the menu entirely, he says there’s no “rhyme or reason to it.” It’s as simple as starting with a clean slate after using the same ingredients for so long. Card says he tastes a new drink around 20 times before he and his team agree on it. Card shares the credit for creating each new menu. A meetup with his bartenders to throw around ideas and try new drinks begins the process. He and his bar team have designed one-of-a-kind cocktails that repeatedly draws the local crowd and the tourists who come to try. Oberon favorites are Love-in-Idleness Lavender Drop, made of vodka, house-infused lavender cordial, and lemon; and A Midsummer’s Earl Grey Sour, a blend of egg white, gin, house-infused earl grey cordial, lemon, and bitters. On the business side of crafting cocktails, Card also considers what his customers want, thereby sharing the focus with the scientific side of cocktails. Above everything else, he’s thinking about his customers. Although he might love a new drink he’s created, if he thinks it won’t sell he moves to the idea he knows customers will line up for. He also designed the cocktail menu for his newest Ashland restaurant, Masala Bistro and Bar, a partnership with Bakshi Card and her family. The Indian cuisine offers authentic street food paired with craft cocktails. 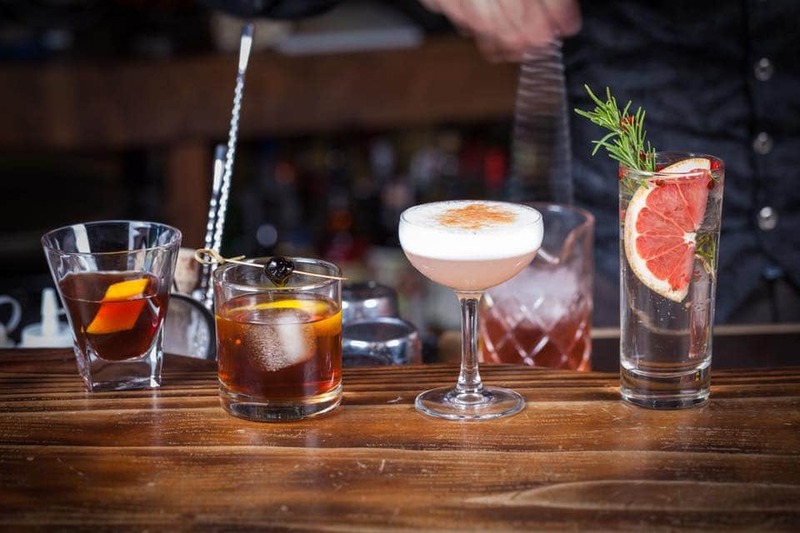 A few of the drinks include a Kela Old Fashioned, a blend of bourbon, banana liqueur, Demerara sugar, and black walnut bitters; and The Gulab Mule with gin, rose water, lime, and ginger beer. 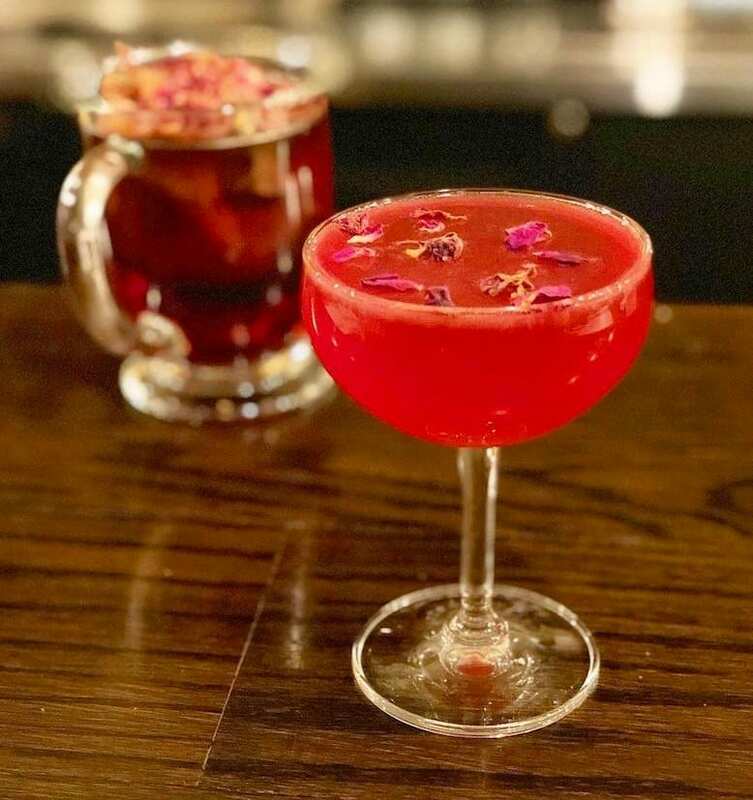 Card also serves a Rose Drop and a Goan Sunset, a fruity cocktail of white rum, strawberry, and lemon with spice notes from cinnamon bark syrup. “I’m currently toying around with a waffle, butter, maple syrup concoction of bourbon infused with waffles, mixed with a second bourbon batch fatwashed with butter, topped off with maple syrup as the sweetener and a few secret ingredients.” Liquid breakfast anyone? Card and his team’s ideas for new libations are endless, and true to form this cocktail scientist is brainstorming the next menu. Rest assured each will be meticulously tested and tasted.